Are Bank Overdrafts Even More Expensive Than You Thought? Personal finance can be confusing: There are so many concepts and definitions to keep straight that it can be hard to know what you should be doing at any given time. And it gets even more difficult when you’re facing a financial emergency and have to make hard decisions about where money will come from. One thing many people do understand is that the higher the APR (or interest), the more expensive the credit. So a credit card with a higher APR will be more expensive to hold a balance on, and a loan with a higher APR will be more expensive overall. Because of this, people looking for credit in emergencies will sensibly try and find the option with the lowest APR. If the only options available are high-interest, though — if, for example, someone has poor credit — they might think a bank overdraft is a good backup option. After all, the bank will just charge them a small fee and they’ll avoid the expense of a high-interest loan. What they might not realize is that a bank overdraft fee is really just a kind of very expensive short-term loan. But because banks don’t have to disclose an APR on their overdraft fees, the true cost is less clearGood . 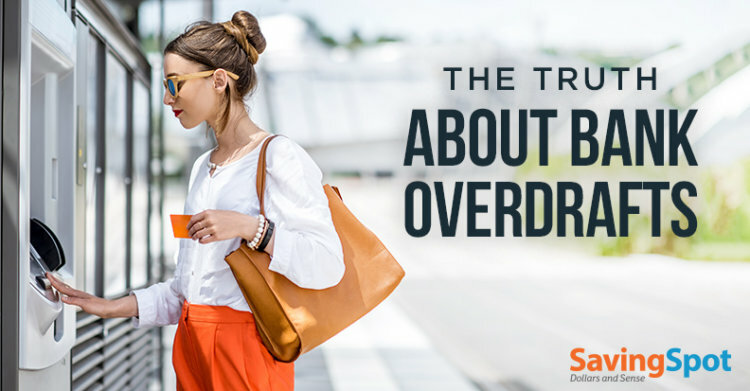 To understand just how expensive a bank overdraft really is, it’s helpful to compare it to a payday loan, another type of short-term, high-interest credit. Most payday loans advance you a lump sum, charging you a flat fee based on the amount. On your next payday, you repay the amount you borrowed plus the fee. Because the loan term is so short, the APR can vary a lot, but most payday loan APRs are in the 200% – 500% range. To take an example, imagine you borrowed $100 from a lender who charged a $15 fee for the loan. If your payday was 14 days later, the APR on the loan would be 391.07%. Not cheap by any means! But if you overdraw your bank account by $100 and they charge you a $35* overdraft fee, the picture looks even worse. Say the bank requires you to pay back the fee and funds within five days. That comes out to an APR of 2,555%! And if you aren’t able to balance your account in time, they can hit you with another fee, making your initial overdraft even more expensive. 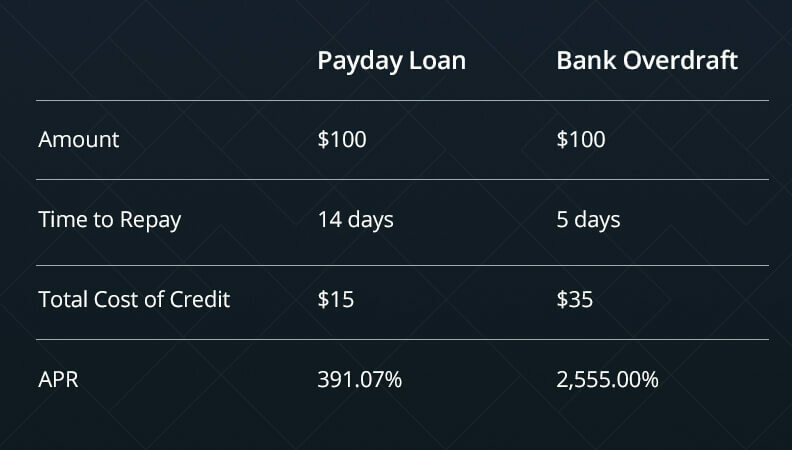 Example comparison of a payday loan and a bank overdraft. Of course, taking credit of any kind is not something to be done lightly. If you are unable to repay, you can end up in more trouble than you started, and high-interest credit like payday loans or high-interest credit cards are best used in emergencies. But when your car breaks down or your furnace goes out, you may not have a choice. In cases like this, when you need a little extra to get by, a bank overdraft is often your worst choice. Did you know that CashNetUSA offers their customers access to educational modules so you can learn about overdraft fees and other critical financial information? Visit our What We Offer page to explore different methods for managing your account to avoid overdraft penalties. *Bank overdraft fee varies by bank. This number is representative of an average compiled on NerdWallet. 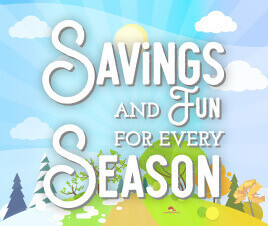 Check with your bank to find out the exact overdraft fee for your account.